The 43-inch Samsung UN43MU6300FXZA is $340 with code EMCPVRV22 at Newegg today. While the prices of 4K HDR TVs are coming down, they are still often out of reach for most people. Today, Newegg's got a great deal on a 2017 43-inch Samsung 4K HDR Smart TV. 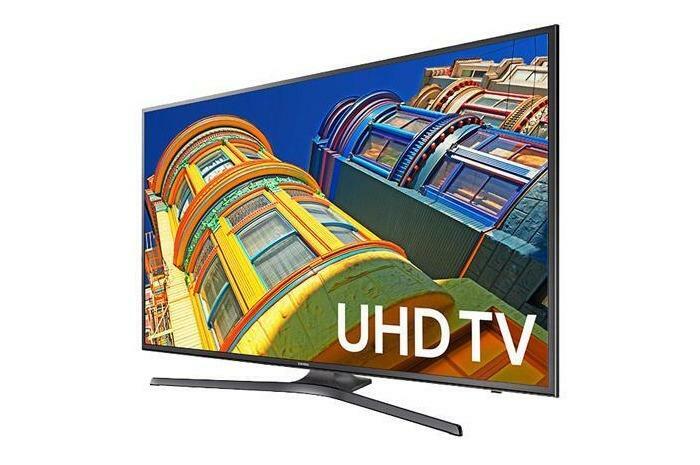 You can get the Samsung UN43MU6300FXZA for $340 with the coupon code EMCPVRV22. This is about $40 cheaper than what you'll see on Amazon and a killer deal for a great set. To use the coupon code you may have to give up your email address to Newegg as this code is from the retailer's daily email circular. Still, getting a 43-inch UHD 4K television for less than $350 is worth getting a few deal emails (which you can always turn off). This deal is for last year's set, but a quick glance at the specs shows that the newer NU7100 set only offers modest upgrades. This television comes with Samsung's Smart Hub and is loaded with TV apps for Netflix, Prime Video, Hulu, and many others. It has the usual 3840-by-2160 resolution, and supports high dynamic range (HDR) for deeper blacks and superior color fidelity.Â On the back it's got three HDMI ports and two USB ports, as well as wireless LAN and Wi-Fi support. But the main reason you'll want it is because of its awesome resolution and HDR makes all the difference for an incredible viewing experience. Even if you aren't too keen on smart TVs, you can always plug a Chromecast Ultra or 4K Apple TV into the back and enjoy the same great picture.